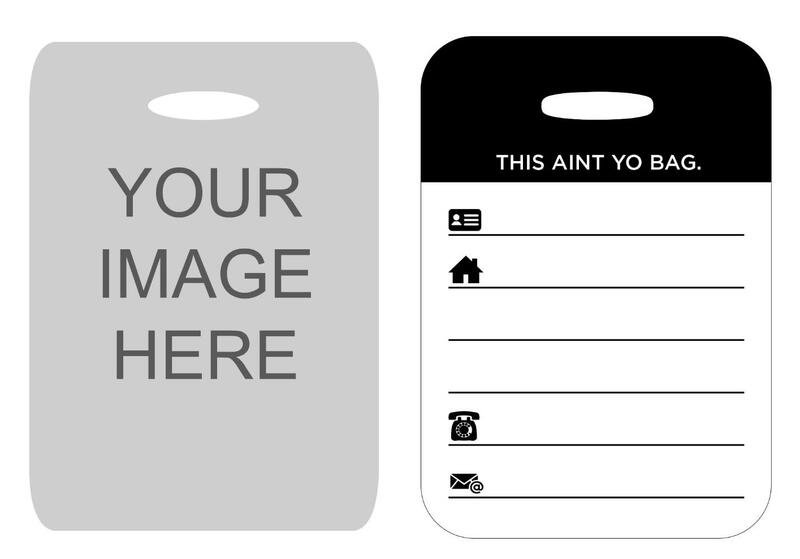 Personalize a 2.75" x 4" luggage tag with your image. Glossy finish with uploaded image printed on one side and address block on other side. Includes plastic loop for attaching to luggage. NOTE: Upper 1/2" quadrant of your image will be blocked by bag tag hole and should not include faces or other important details.